The size of the finished cones is within 145mm long can be customized according customer's requirements,such as angle,width,depth,figure and thickness. 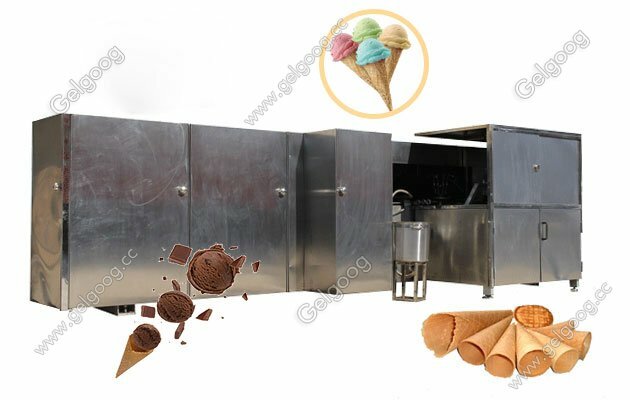 Full Automatic Rolled Sugar Cone Production Line We Gelgoog provide kinds of rolled sugar cone machine,such as semi-automatic cone machine,automatic cone machines and full automatic rolled sugar cone production line. 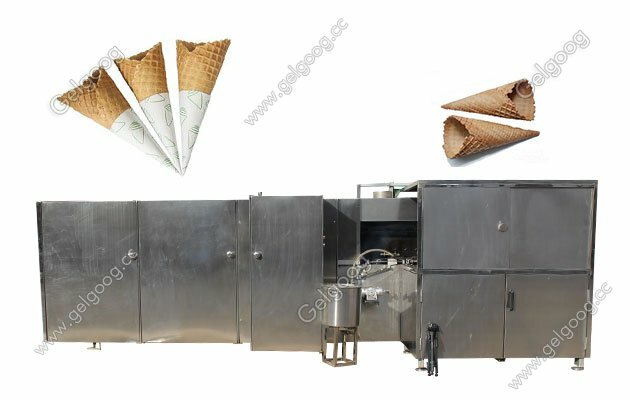 We also have the wafer ice cream cone machines,such as for different popular shapes in china and all over the worlds. 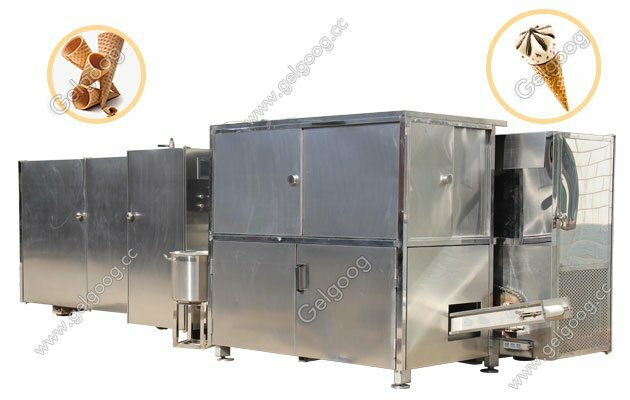 Full automatic filling paste,baking,rolling and conveying-cooling-counting.The same machine can make different products within round biscuit,sugar rolled cone, egg roll with changing the different forming devices.The size of the finished cones is within 145mm long can be customized according customer’s requirements, such as angle,width,depth,figure and thickness.We also have Electric heating and gas heating way for your choice.Welcome to contact us with your cone pictures,design,size and capacity then we can talk more and suggest you the suitable ice cream cone machines.